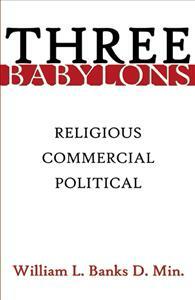 Three Babylons is in my opinion without doubt the most comprehensive treatise written on this very provocative subject. This opus digs deep beneath the surface down to the very root of this eschatological phenomenon and reveals clear and plain answers. A proper understanding of Three Babylons will help the reader to know in a greater sense what God has in store for this world before it comes to pass. It will also afford him a confident faith with which to confront the political, social, and religious chaos that is imminent.